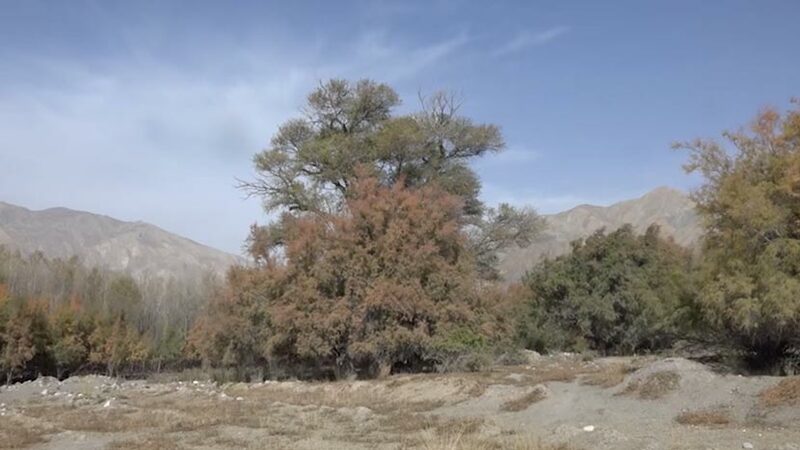 Researchers try to protect a newly discovered subspecies of salt cedars from being wiped out by hydropower project. With the world’s largest, oldest, and perhaps most recently discovered species of Chinese salt cedars standing in the way of a planned hydropower station in the Tibetan Plateau, environmental groups are watching as China is forced to choose between preserving biodiversity and prioritizing energy. Tongde County, in northwestern China’s Qinghai province, sits in a mountainous region of hills and valleys on the upper reaches of the Yellow River. 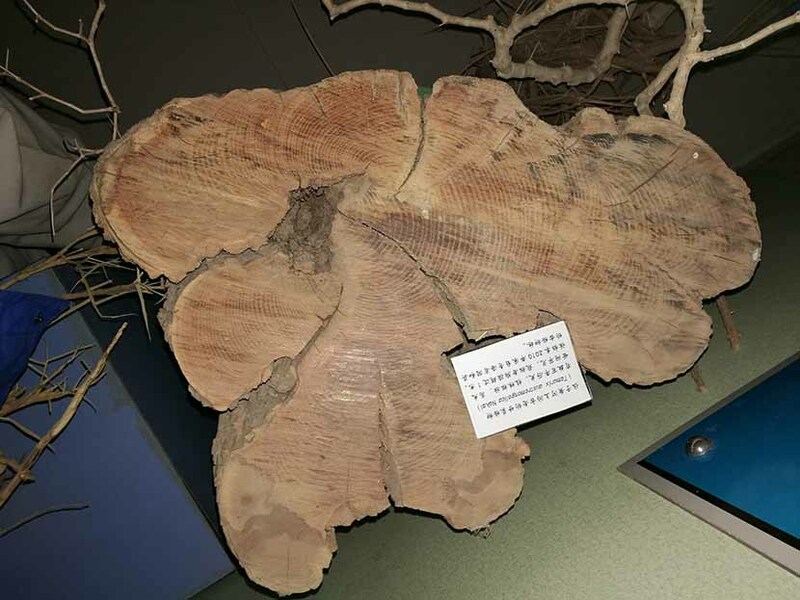 Wu Yuhu, a researcher at the Chinese Academy of Sciences-affiliated Northwest Institute of Plateau Biology, discovered hundreds of specimens of salt cedar, also known as the tamarisk, during a July 2010 expedition to Tongde. But much to his surprise, the grove of tamarisks Wu found there in no way aligned with what he knew — or thought he knew — about the species. The specimens there were much older, wider, and taller than any he had seen before. Moreover, he had never seen similar plants, normally classified as trees, grow at such an elevation. 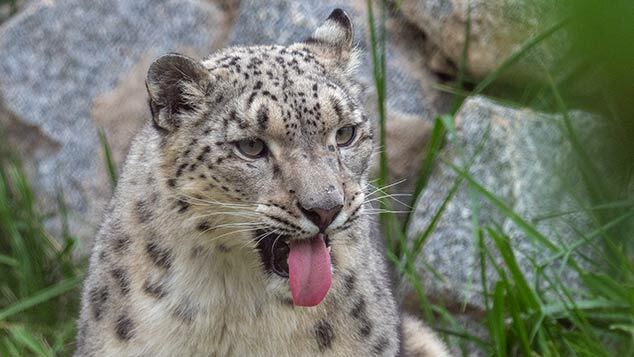 Chinese tamarisks are ubiquitous along the Yellow River basin, but Wu believes the grove he found in Tongde to be a new subspecies — “just like the differences between Siberian tigers and South China tigers,” he explained. 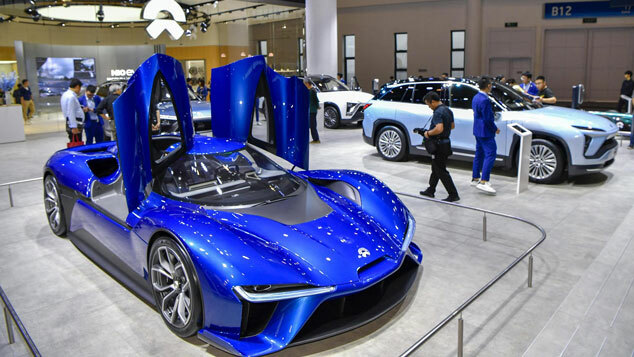 Soon after the discovery, however, came the news of plans to build the Yangqu hydropower station on the upper reaches of the river. The resulting reservoir would submerge most of the trees by the end of 2018. Wu immediately began trying to stop the construction. 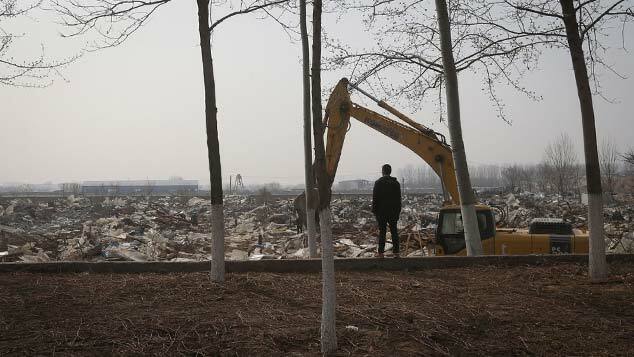 “It would be a huge loss if they were destroyed,” he told Sixth Tone. “It would be a crime.” So Wu invited a group of botanists to come and research the strange new plants. Chinese tamarisks generally grow no wider than 20 centimeters, or less than a foot. But the botanists found that of the hundreds of tamarisks in the grove, a total of 666 were wider than 30 centimeters in diameter, with some as wide as 2 meters. The tallest specimens, meanwhile, climbed to 25 meters. A sample taken from the trunk of one specimen indicated that it was 102 years old, and the researchers estimated that around 200 in the newly discovered grove had been there for more than a century. 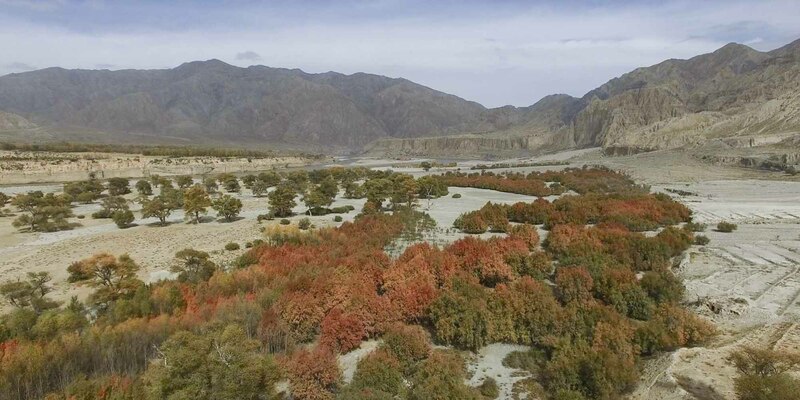 As the seasons change in this isolated valley in Qinghai, leaves turn from green to orange to yellow. Even in the unhospitable environment, roots grow deep into the earth so the trunks they support don’t die out during the frequent dry spells. But the place is so remote that only a few locals — and now the researchers — have ever set foot there. But Wu’s calls to halt construction on the hydropower project have stirred concerns, especially online. In mid-October of this year, the project’s chief investor, state-owned Huanghe Hydropower Development Co. Ltd., announced that it would relocate the trees to higher ground some 3 kilometers away. 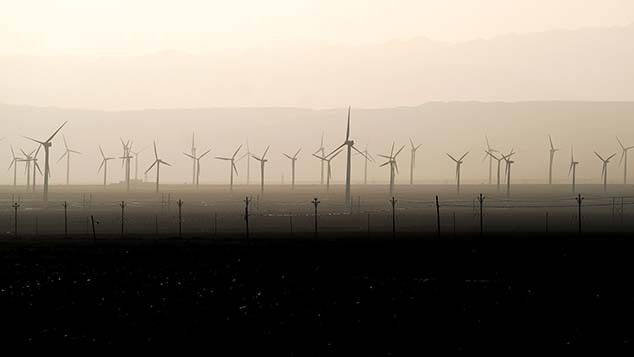 Soon after the announcement of the relocation plan, Qinghai’s forestry administration, which oversees the region’s wildlife, declared that it would not approve construction of the dam until the trees had been moved. Wang Enguang, a chief engineer at the forestry administration, said the tamarisks were not a protected species, as they were not more than 100 years old — a position that clashes with the scientists’ own research. The environmental impact assessment for the hydropower project, published in February of this year, arrived at the same conclusion as Wang. According to China’s Ministry of Housing and Urban-Rural Development, only trees over 100 years old qualify for official protection. An ecosystem in its entirety is what scientists consider above all else, Wu explained. He believes further study is needed to better understand the complex history of this unique region. “If they relocate the trees, much of that information will be impossible to uncover,” he said. If it is completed, the Yangqu hydropower station will be just one of several dams along the upper and middle reaches of the Yellow River. Huanghe Hydropower itself operates more than 20 such stations. Facing a nationwide energy surplus and a 17-year low in energy consumption growth, China has already halted plans for new coal-fired power plants in 28 provinces. Many experts, consequently, find it baffling that the central government continues to forge ahead with nuclear and hydropower projects. Huanghe Hydropower said that relocation of the shrubs will begin on Nov. 15. With that day fast approaching, Wu is busy collecting samples of the trees. “At least this way, future generations will know that these trees once existed,” he said.